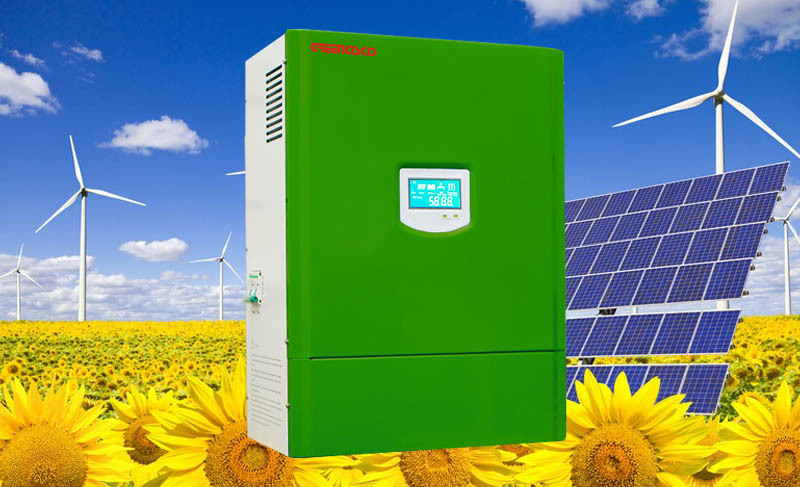 PWM wind and solar controllers are designed for wind-solar street lights, which can control wind system and solar panels to charge batteries at the same time. ●LCD screen for displaying system working status and parameters. ●Charge and discharge controlling parameter is adjustable. ●Boost Charge mode auto shifts on when the battery voltage is lower than boost charge voltage. ●Double temperature sensors design,with inner sensor for temperature detection,outer independent sensor for detecting battery temperature, which makes battery temperature compensation more precise. ●The controller can work out daily battery charging and discharging capacity which makes it more convenient. ●It possesses overcurrent protection when charging which can decrease the charging current so as to protect the charge circuit if it exceeds the rated current. ●When batteries are undervoltage, controller automaticall recharge batteries, when batteries are charged full, controller automatically stop charging. ●Industrial grade chips and precision components adopted which can work under cold,hot and moist conditions. ●PWM charging control to improve high charge efficiency,with reverse-connection protection function.